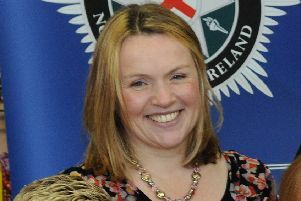 A 56-year-old woman found sitting drunk in a car was banned from driving for 12 months when she appeared last Friday at Craigavon Magistrates Court. Denise Baines, whose address was given as Glenavon Lane, Lurgan, was also fined £250 for failing to provide a specimen of breath on January 15 this year. For being drunk in charge of a vehicle she was fined £250, ordered to pay a £15 offender’s levy and disqualified for six months. The court heard that a car was sitting in the middle of the Monbrief East Road and the defendant was in the driver’s seat. When she got out of the car she was unsteady on her feet and used the vehicle to steady herself. The car keys were in the driver’s side of the vehicle. She failed a preliminary breath test with a reading of 91. At the custody suite she refused to provide a specimen of breath. Baines, who represented herself in court, said she was guilty as charged, adding that she did regret it. She added she did not want to go into the circumstances but she shouldn’t have done it. The defendant said she had lost her licence while out running and had applied for another. But court checks could not trace her licence. District Judge, Mrs Bernie Kelly, told her that Coleraine said that she didn’t have a licence and she would have to work on the basis that she did not have a licence.